After starting out in a garage, GLW in Detroit now designs and builds retail environments around the world. 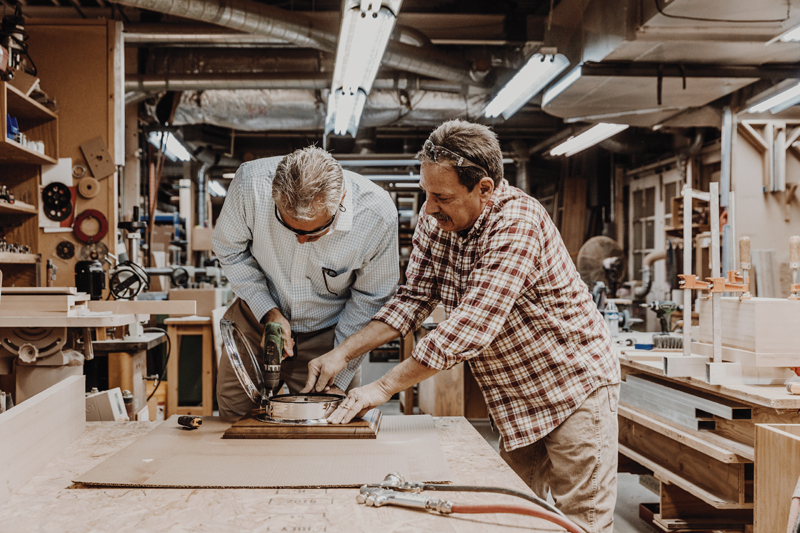 In the early 80’s, Mike Mancinelli, a carpenter, started making cabinets and display cases for retailers inside his garage in East English Village in Detroit. 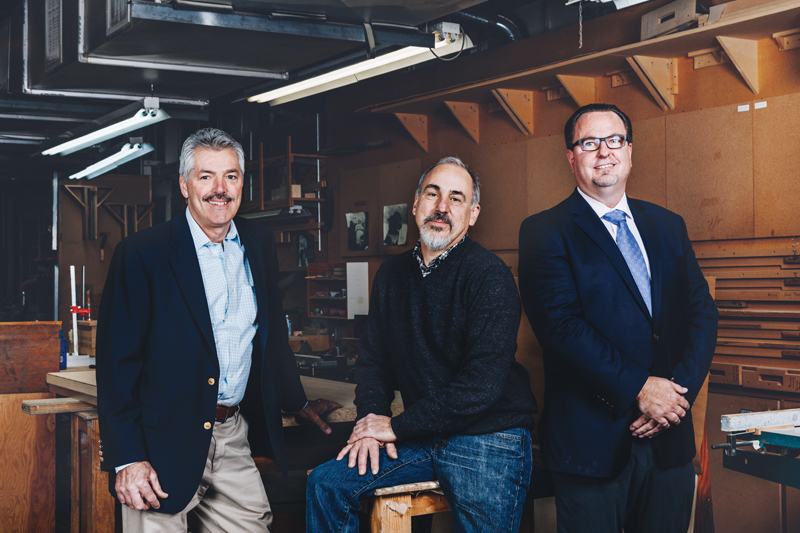 In 1984 he was joined by Paul LaCroix, and the pair formalized the business and grew it steadily until they came to the realization that their operation had outgrown the surrounding neighborhood. The team at GLW in Detroit, including Tony Gatliff, Mike Mancinelli, and Chris Dee, plan to boost the company’s annual revenue to $22 million by 2023, up from $15 million in 2017. One of the company’s earliest customers was Fossil Group, a purveyor of watches, bags, purses, wallets, and jewelry. Tom Kartsotis founded the retailer, which today operates 550 company-owned stores worldwide. He later went on to launch Shinola, a Detroit retailer that offers watches, leather goods, journals, bicycles, home furnishings, and consumer electronics equipment. Tony Gatliff, vice president of sales and part owner of GLW (Mancinelli serves as CEO, while LaCroix retired), says the company’s design team will often go through a dozen to 20 iterations before a final interior layout is finalized. 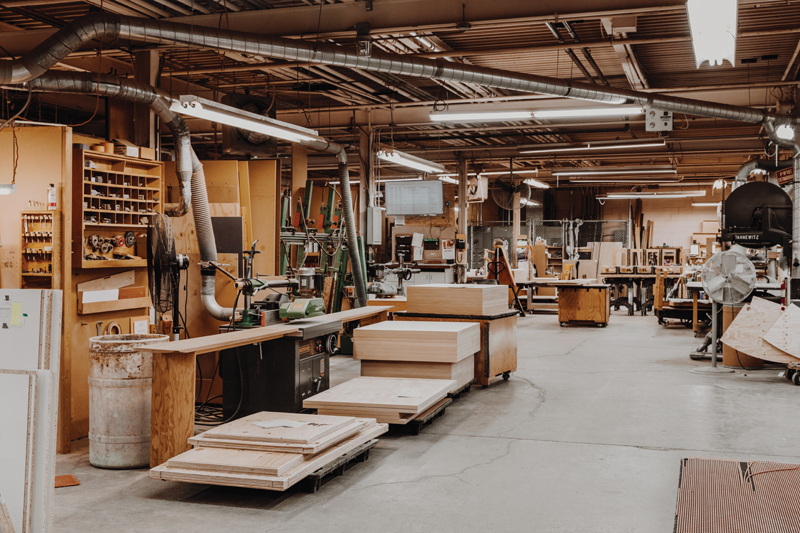 From the company’s main operation in Detroit, which spans 46,000 square feet along Mound Road, just east of Hamtramck (there’s also a 25,000-square-foot operation in Warren), materials — typically white oak and poplar woods — are sourced from the western part of the country. 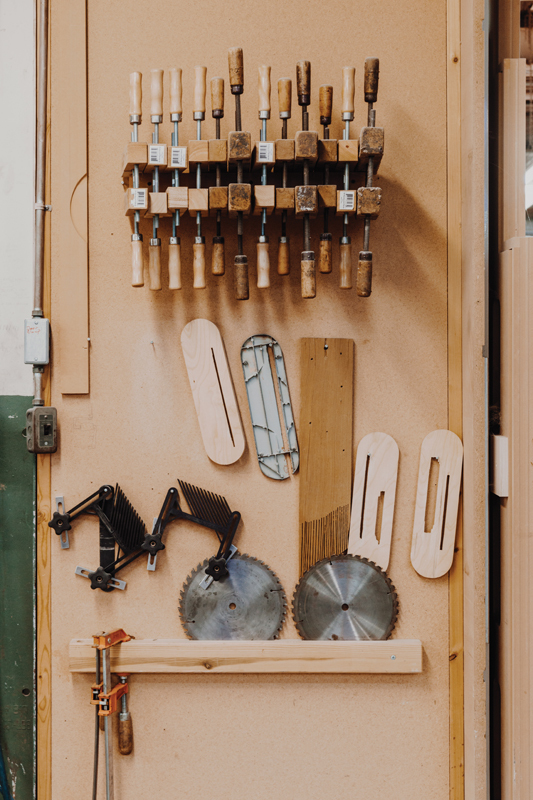 To create seamless wood grains across cabinets and display boxes, a millworker cuts a V-shaped groove in the wood, applies glue, folds in the corners, and adds masking tape. “Once the glue dries, we remove the tape, stain it if needed, and then get it ready for shipping,” says Robby Kempton, who oversees GLW’s organizational health and development division. Given the high cost of air travel, the company came up with a series of color-coded stickers and instructions for assembling the interior display pieces on-site. While there may be fear in the words “Some Assembly Required,” Kempton says the process is straightforward. In 2017, the company, with 53 employees, was on pace to record more than $15 million in revenue. Over the next five years, the goal is to generate $22 million in revenue, mostly by drawing more work from the retail sector. 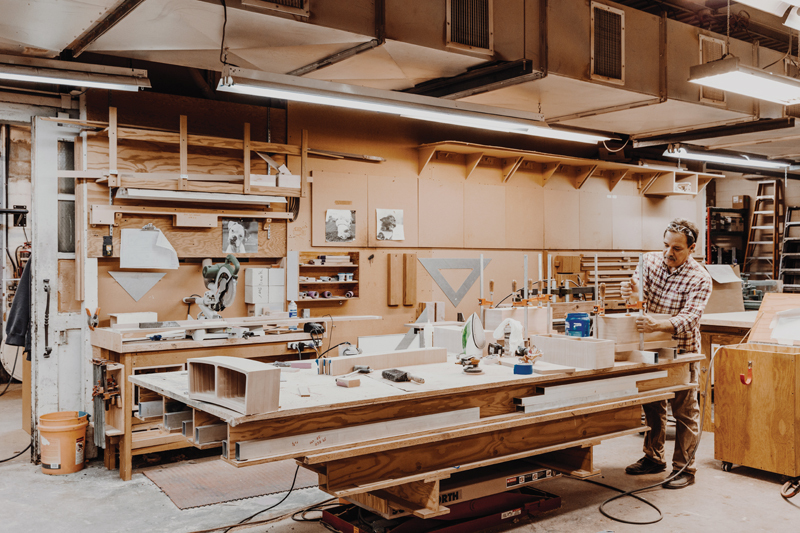 The company also designs and builds wood cabinets and does trim work for a small number of private homes and offices, as well as hotels, bars, and restaurants.